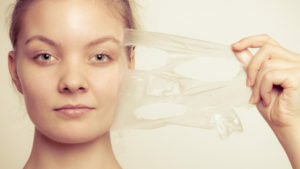 Know the Facts About Chemical Peels - Doctor Hermann M.D.,P.A. You can get a chemical peel without preparation, but if you want to achieve optimal results, it’s better if you clean your skin and make it as healthy as possible before your appointment. Wash your face with a gentle soap and water, and apply some moisturizer, as a chemical peel can be very drying. As wonderful as a chemical peel is for your face, you want to be able to protect your skin as well. Everyone thinks that a chemical peel is a straightforward process that’s used on everyone. But there are actually different kinds of chemical peels available. Talking to a skin care professional like Doctor Hermann will help you to figure out what you want to get out of the process. Make sure you not only discuss the process and how much peeling you want, but the desired results too. A chemical peel isn’t a miracle cure that’s going to take care of all your blemishes. Scars you’ve had for a long time or years of sun damage are not going to be undone with one skin peel. You’ll have to return for several applications before you can start seeing results. Even if you don’t have any of these problems, a single appointment is not going to produce magical results. It takes time, so you need to exercise patience before you start noticing the changes of a chemical peel. Ultraviolet sun rays threaten the health of your skin daily, even if it’s not a sunny day. You should always wear sunscreen to protect your face. After a chemical peel treatment, it’s even more essential that you apply sunscreen to your exposed skin. You want to be able to protect your skin from the damaging rays of the sun, or else your peel will have been for nothing. You will want to maintain the results of the application for as long as possible, so choose a sunscreen that is broad-spectrum and oil-free. The friendly professionals at Hermann Wellness would love to teach you more about chemical peels as well as other non-invasive ways to look and feel younger. Visit Hermann Wellness to learn chemical peels, pricing, and specials.